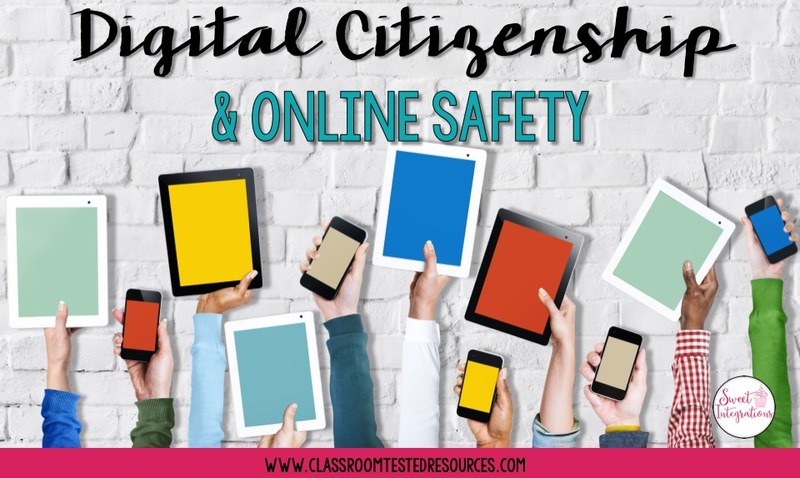 Does your district provide a technology plan for teaching Digital Citizenship and Cyber Safety? Or, are your teachers responsible for teaching students responsible behavior when using technology? Many teachers have no idea of what and how to weave ethical technology behavior into their curriculum. And, many parents do not monitor their children when they are online at home. Our students were born into the digital age. 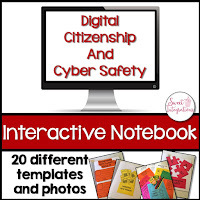 They use technology everyday so digital citizenship should be taught and modeled every day. 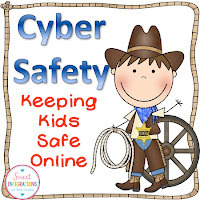 It is also important to teach digital citizenship and safety at the appropriate age level. The resources I've provided have excellent lessons for each grade level. 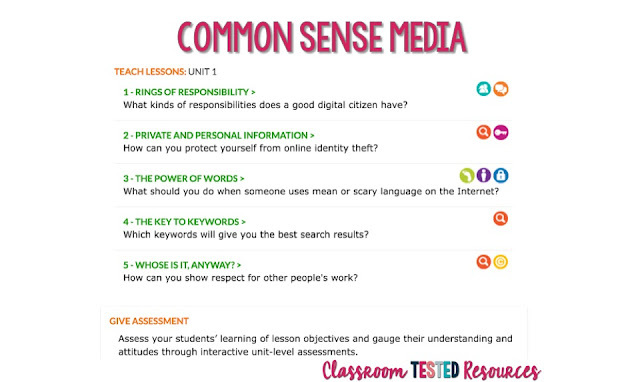 Common Sense Media includes a scope and sequence for different grade levels. There are age appropriate lessons and videos that are excellent. And, the lessons break down by topic! Plus, for grades 3-5, you can add Digital Passport to your lessons. These games are available in an app format. If you use Nearpod, there are Nearpod lessons. Below is an example of lessons from Unit 1 for grades 3-5. They're already jumping in on responsibilities, privacy, appropriate language, searching, and copyright. That's right! 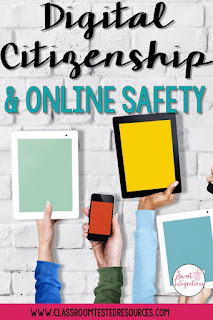 Google has excellent videos for teaching digital citizenship and online safety. Google and IKeepSafe have partnered to develop this excellent curriculum for elementary, middle school, and high school students. Elementary students download and watch cute videos and take the Prevent Cyberbullying pledge. 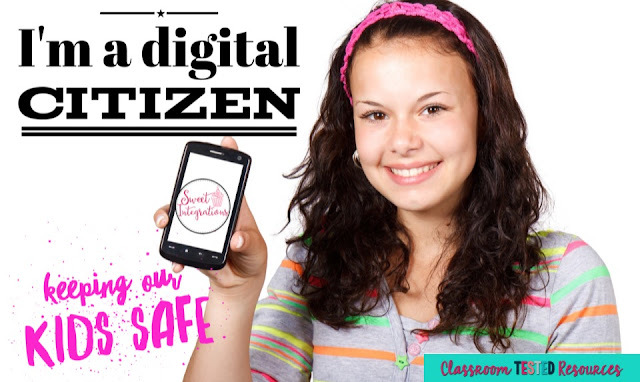 I love their idea of equipping students with a Digital Citizenship Toolkit. According to the FBI, "The Pew Research Center published a study saying that 92 percent of teens report going online daily - including 24 percent who say they go online "almost constantly." According to the study, nearly three-fourths of teens have or use a smartphone. Because of the alarming study, the FBI decided to launch their own curriculum. 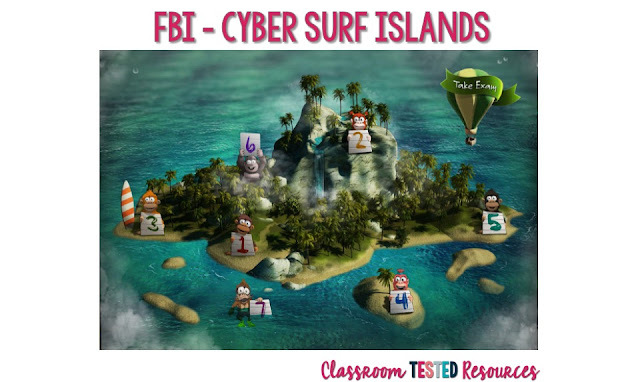 The Cyber Surf Islands curriculum focuses on elementary and middle school students. Students complete the lessons and then take the exam. 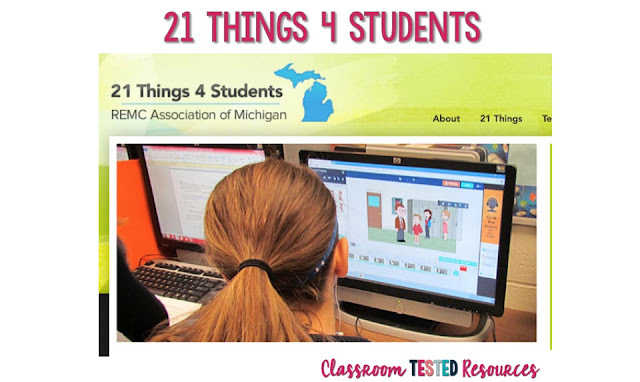 21 Things 4 Students is an excellent Digital Citizenship curriculum. This curriculum is so complete with detailed objectives, tech tips, and engaging lessons for your students. 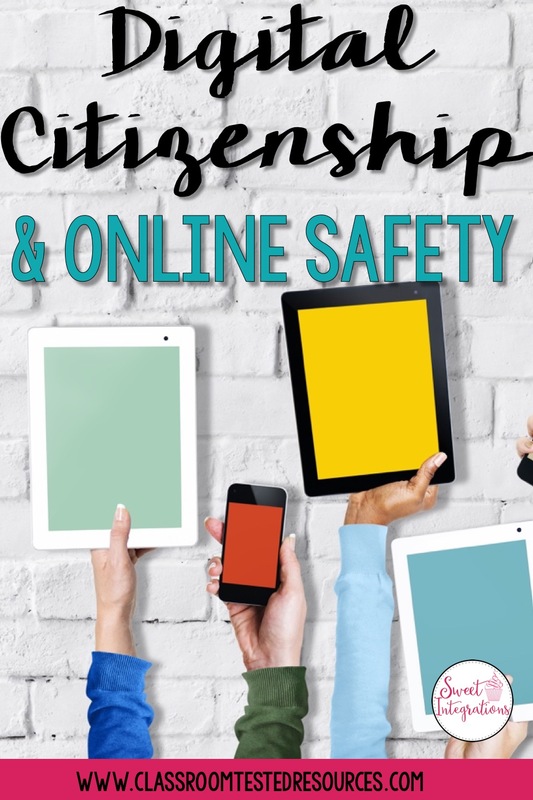 For more ideas and lessons on digital citizenship and online safety, take a look at the following units.